A Roads and Maritime Services (RMS) spokesperson today announced registration stickers are no longer being sent out with registration renewals. “The change means registration stickers will no longer need to be displayed on light vehicles including motorcycles and trailers up to 4.5 tonnes from 1 January 2013,” the spokesperson said. “Customers will continue to receive registration renewal notices but from next year will no longer be inconvenienced by having to remove the old sticker and display the new one. “RMS customers whose registration is due on 1 January or after will soon receive a flyer in their registration renewal reminding them a registration sticker is no longer needed. “Customers will notice there is no sticker in their registration renewal reminder. Further information on the change will be available on the reminder notice to help the community adjust seamlessly. “Vehicle owners who pay for their registration before 1 January will have already received their reminder which included a sticker. 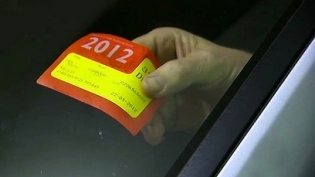 “These customers should use this new sticker when they renew their registration and leave it in place until new year’s day. “The retirement of registration stickers will simplify the registration process for customers, significantly reduce costs for fleet operators and car rental companies and provide savings to the NSW Government and the community of about $575,000 per year. “There is also the environmental benefit of reduced wastage of registration sticker stocks. “There will be no change to the registration process other than the retirement of stickers and customers are reminded registration renewals will still need to be paid by the due date to avoid enforcement action. 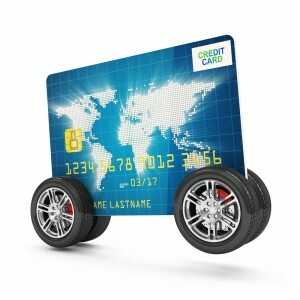 “Driving an unregistered vehicle is an offence and heavy penalties apply. “Advances in camera enforcement technology will enable NSW Police and RMS to identify unregistered vehicles. NSW has incorporated the Australian Road Rules and our local rules into a single set of NSW road rules. The July 2008 nationally agreed changes to the Australian Road Rules included some minor amendments to existing rules and new rules attracting fines and/or demerit points. From 1 November 2012, changes to NSW Road Rules will come into effect. ‘Do Not Overtake Turning Vehicle Signs’ – are some of the changes. Triangular road markings or ‘Dragon’s Teeth’ are currently being installed at the entry points to all 10,000 school zones across New South Wales to improve road safety for students. The Dragon’s Teeth are an innovative $14 million initiative, announced by the NSW Government in May 2009, which is in addition to the comprehensive school zone road safety program. The Dragon’s Teeth program involves painting triangular line-markings on the road pavement for up to 32.5 metres at the start of each school zone. Dragon’s Teeth are already used internationally and are a clever and cost-effective way of keeping children safe. The Dragon’s Teeth markings further increase the visibility of school zones for motorists and provide a constant reinforcement to keep to the 40 km/h speed limit around schools. Combined with the existing signs, flashing lights and painted ‘40’ pavement markings on the road, the dragon’s teeth will ensure motorists know when they are driving through a 40km/h school zone. Most school zones operate between 8am and 9.30am and from 2.30pm till 4pm. Children are often unpredictable and do not always act safely around traffic. The visibility of the Dragon’s Teeth road markers will help remind motorists to slow down to 40 km/h during school zone times to protect children and keep them safe. The slower speed in school zones lessens the risk of crashes. Where crashes do occur, they are less severe, especially for children. For example, a car travelling at 50kmh is twice as likely to kill a pedestrian than a car travelling at 40km/h. There is a massive works program associated with the rollout of the Dragon’s Teeth. Since the first Dragon’s Teeth were installed at Penrith in September 2009, work has continued across NSW. The Dragon’s Teeth are being progressively installed at all 3,154 schools across the state with the work expected to be complete by the end of 2010. From late May 2010, learner and provisional (P1 and P2) driver licences issued to under 18s will incorporate new security features. The new look licences will have the following additional security features: The date of birth of the licence holder will be repeated in the card background. A red box will surround the facial image. A reference to the date of the holder’s 18th birthday will appear in the banner of the card. The new features will be introduced progressively in motor registries across NSW. They will enhance the security features on the licence and will facilitate the visual identification of the age of under 18s. The new licence will remain valid after the holder has turned 18 and will be valid until the expiry date shown on the card. Licences already issued to under 18s without these new security features will remain valid until the card’s expiry date. Licences issued to over 18s will not be changing. On 4 November 2009, former NSW Premier Nathan Rees and Minister for Transport vid Campbell announced the introduction of new child restraint laws for children up to seven years of age. Children aged four years to under seven years must be secured in forward facing child restraint or booster seat. A transitional period will apply until 30 June 2010 to allow parents and carers to fully understand and comply with the new laws. The transitional period does not provide an exemption for the new requirements regarding seating young children in the front seat. Drivers will need to ensure that children younger than four years of age do not travel in the front seat of a vehicle with two or more rows. Drivers will also need to ensure that children aged four years to under seven years of age do not travel in the front seat of a vehicle with two or more rows unless all other back seats are occupied by children younger than seven years. In the interests of improved child road safety it is recommended parents and carers of young children make every effort to comply with the new requirements as soon as possible. community groups and from privately run rental companies. Child restraints available in Australia must meet the Australian /New Zealand Standard 1754:2004 Child restraints for use in motor vehicles. The standard is one of the toughest child restraint standards in the world and child restraints manufactured to this Standard offer good protection in a crash. A significant number of the restraints have been tested and assessed under the Child Restrain Evaluation Programme (CREP). Find out more about the results of these tests and the guidelines you should follow when buying a child restraint in the safer child restraints brochure. Ensure the restraint is installed correctly. See a restraint fitter if in any doubt. Always use the top tether strap where required. Follow all the manufacturer’s instructions carefully if you are fitting the restraint yourself. If the instructions have been lost, contact the manufacturer or seek advice from an RTA Authorised Fitting Station. Call 13 22 13 to find your nearest RTA Authorised Fitting Station. From 19 December 2009, there are changes to the Graduated Licensing Scheme for learner drivers. Learner drivers who complete a one hour structured driving lesson with a fully licensed driving instructor can record three hours driving experience in their Learner driver log book. A maximum of 10 hours of lessons will be accepted and recorded as 30 hours in the Learner driver log book. In addition, learner drivers who are aged 25 and over will no longer be required to present a Learner driver log book prior to attempting the driving test. Note: These changes do not mean driving lessons are compulsory or that you should stop having lessons after reaching the 10 hours of training. A fully licensed driving instructor must develop each structured lesson in conjunction with the supervising driver and their learner driver using the Driving instructor structured lesson planner. Driving instructors are required to keep a copy of each lesson plan completed in the Driving instructor structured lesson planner for auditing purposes. This is in order to ensure that learner drivers are receiving high quality structured lessons tailored to the needs of each learner driver. Each lesson must aim to develop and enhance the learner driver’s practical application of low risk driving principles, as outlined in the Learner driver log book. The Structured lesson record keeper is a summary of the structured lessons conducted on road by a fully licensed driving instructor. Structured lesson record keeper inserts are available from RTA Motor Registries, RTA Contact Centres or you can download a copy by accessing the link at the bottom of this page. This insert must be attached to the Declaration of Completion, on page 111 of the Learner driver log book. Structured driving lessons are to be recorded on the Structured lesson record keeper in order to be recognised under this new scheme. In addition any lessons recorded in the Learner driver log book prior to 19 December 2009 can be transferred from the log book to the insert. A Supplementary Declaration is included on the insert and must be signed by a supervising driver for the insert to be recognised under this new scheme. Lessons conducted at night (between sunset and sunrise) count for only one hour of night driving towards the required 20 hours, with two hours to be added to day driving hours in the log book.